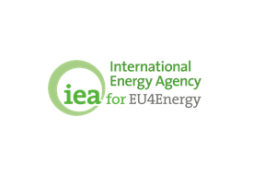 The EU4Energy Policy Forum has been organised by the International Energy Agency (IEA) within the EU4Energy Programme funded by the European Union. The Programme’s aim is to work with Eastern European and Central Asian countries (Armenia, Azerbaijan, Belarus, Georgia, Kazakhstan, Kyrgyzstan, Moldova, Tajikistan, Turkmenistan, Ukraine and Uzbekistan) to improve energy data capabilities and assist them in evidence-based energy policy design relevant to the country’s needs. The aim of the forum, which took place on June 26-28, was to promote policy discussion on energy subsidies, demand restraint and fuel switching. The participants focused on government practices that set energy prices and subsidise different forms of energy, which is discouraging investment in the sector and preventing energy system self-sufficiency. The sessions covered also such topics as: planning, managing and evaluating the energy saving policies, subsidies wrap-up, using the energy balance data for the researchsaving electricity, oil and gas security of supply, energy storage and fuel switching issues, (→ all presentations). Aleksander Szpor from our Institute presented the social implications of transition from coal based energy system in Poland and possible co-benefits of this process. The presentation is available below.